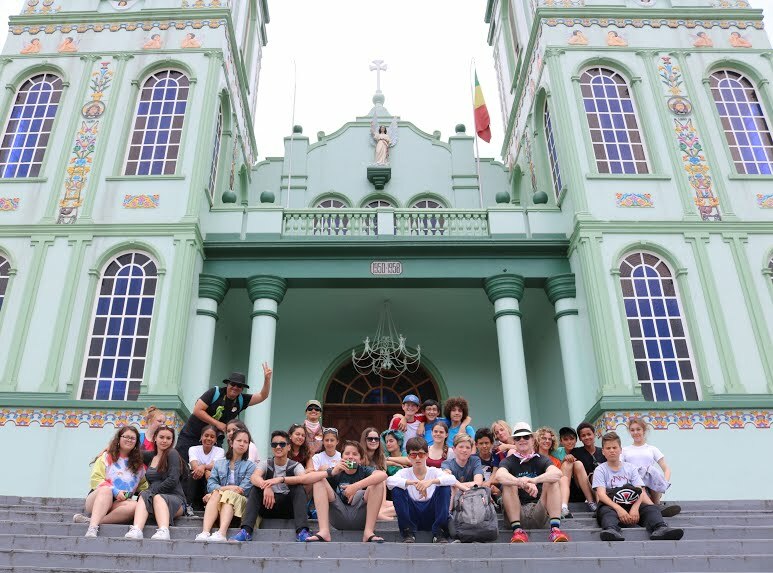 Eighth graders embarked on a great adventure; the first international trip for EBI middle schoolers. We are very happy to share with you their experiences in a weekly series, make sure to come back to read all seven articles! 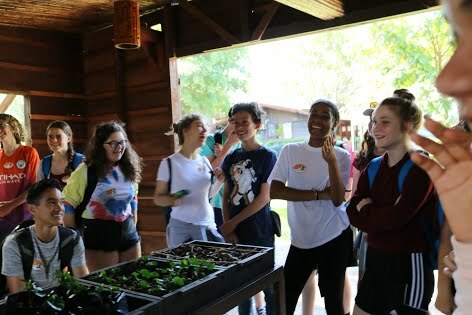 All the articles were written by the students as well as great photos of their experiences. This morning we enjoyed a buffet of delicious rice, beans, bread, eggs, plantains, and assorted fresh fruit. We stayed in nice rooms located in San Jose, capital of Costa Rica. We really appreciated this stay at the hotel and the refreshing meal after hours of travel. 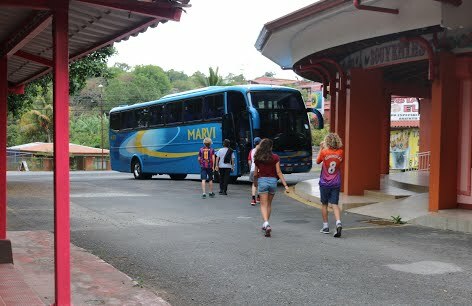 After our stay, we boarded a bus to go to the beautiful green heights of Monteverde. 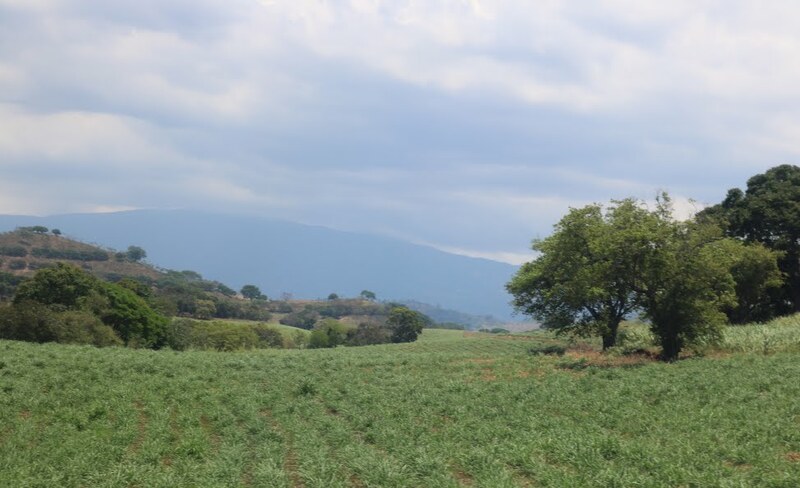 On our way, we explored a Costa Rican coffee plantation, which sells worldwide under the name Britt. We discovered how they made different blends with the assorted sources of beans. We also met two very humorous men who guided us around the plantation. They showed us new Costa Rican words including, "chunche", "soda" and "ñata." Many of us enjoyed and benefited from the coffee tasting, especially since we were all very tired. After that we saw many foreign animals and interesting plants on our way to Sarchi. In Sarchi we walked around the central park and explored some of their city. While walking we saw a huge sculpture of a type of wagon used for transporting coffee. It was very decorative and intricate, with many colors and patterns resembling flowers. We enjoyed a nice lunch in Sarchi, before embarking on the longest of the bus rides of the day. We are now in Monteverde surrounded by an orchestra of insects, extremely comfortable weather, beautiful flora and our loving friends. Many of us played soccer out in the hotel's patio along with a couple of dogs and enjoyed the scenery. We are already bonding more as friends and as a community. P.S. We got Jon, Roxana, Jose Antonio, and Ms Vuong to dab.